Resident digital guru who pioneered the creation of digital wings in Pakistani ad agencies, inspiring us to create an industry first! 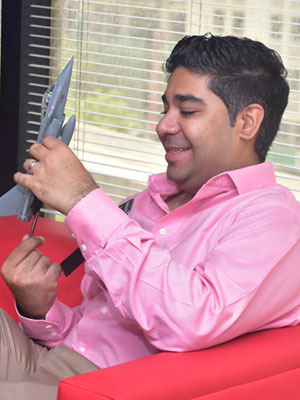 Musician through education, IT ‘geek’ through instinct and now commercially trained pilot! Childhood Ambition: Pilot…practicing by flying remote-control aircraft and building models!